1 | Prepare ahead of time and order ingredients online, or have a relative send you a care package with all the fixings. 2 | Make it a fun opportunity, gather a list with things you need and head over to your local market to try to find as similar as possible ingredients that will help you create you dinner. 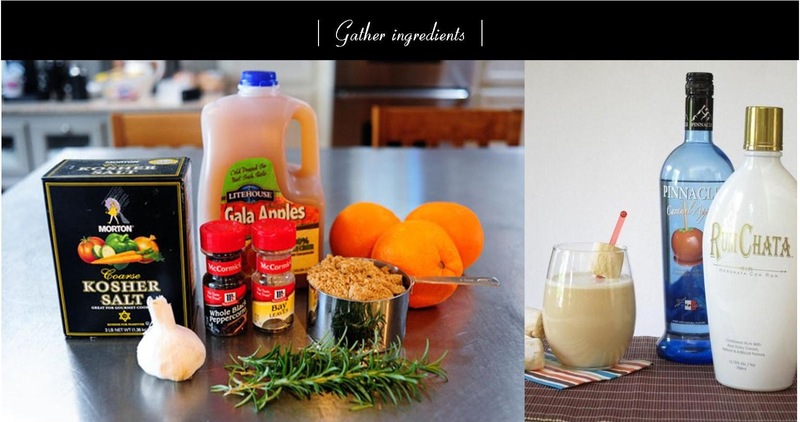 While you are there grab a few local items or desserts to add a twist to your dinner. 3 | Go to Pinterest to get decor ideas and fun printables to add to your home and table. 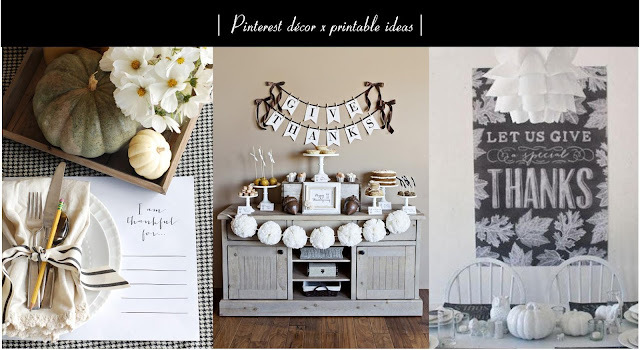 Once you have all of the decor gathered begin to decorate so that you begin to feel at home. 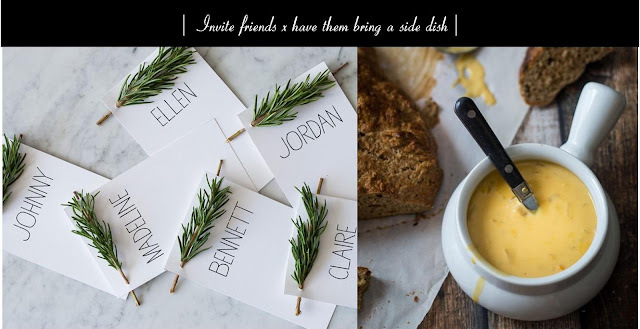 4 | Invite friends ahead of time, both American and local to join you and ask them to bring a side dish or dessert. For your non-American friends, you can encourage them to bring a local dish or a dish from wherever they are from that would compliment the dinner, this will create a conversation starter and will be far more enjoyable. 5 | Prepare a meal with the basic foundations as your friends will do the rest for you. Not only will that minimize stress but will allow you to have more time to spend at your dinner party. 6 | Create a relaxed and cozy table set up, so that your friends feel comfortable and right at home. 7 | Let the feast begin, this is wear you get to sit down and celebrate the many things you are thankful for, especially the friends who joined you on your dinner. 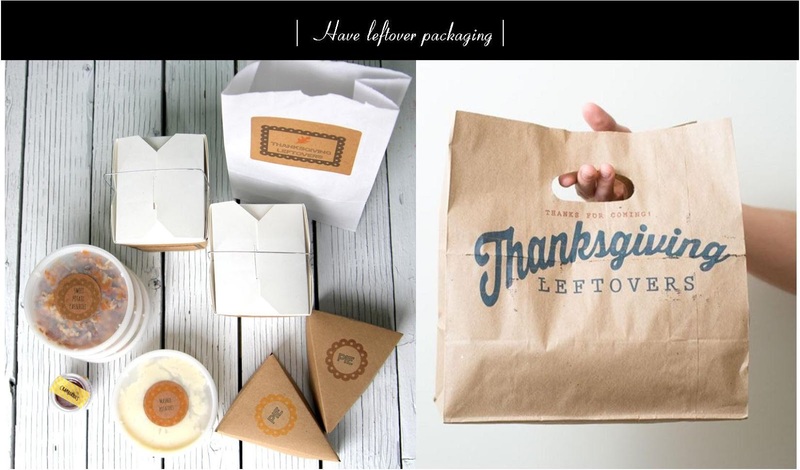 8 | Buy or DIY leftover packaging so that you send off your friends with a very thankful smile :)! Living abroad can bring exciting opportunities in many ways, but when holidays come around they always remind you of the very special feeling that is having the people you love around you, it's an undeniable feeling. At one point or another you've felt that feeling of sadness and loneliness, longing to be at their side. I've had a few days as such, they make me realize just how important they are in my life and how much of an impact they leave in my heart. Just like that famous saying, "there is no place like home," and so it is true, whether we are completely happy where we are, home will never be 100% home if your family is not close by. So to help you and myself, I decided to put a list of things that will help us feel as if we were home, and minimize the sensation of sadness. These few things may be obvious but we tend to forget that we can actually celebrate our holidays wherever we are. Hope this helps you in anyway, that it encourages you to create this experience for yourself and for friends that may also be alone during the holidays or for friends who just want join in on the fun. Believe it or not some people welcome the celebration of holidays that are not there own, because it allows them to experience something different and make them feel more connected to you. Do you have any tips of your own that you would like to add? leave me a message below, would love to hear them. Awwww...you are missed. The holidays are always rough....even when you're home, really.